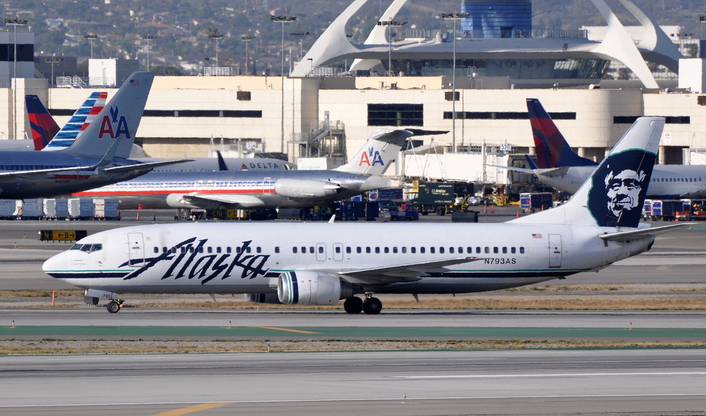 Currently, there are some cheap Alaska Airlines round-trip fares from Los Angeles to San Francisco, or vice versa for only $76. This includes the taxes! This is a great way to achieve MVP Gold status, if you are with Alaska Airlines. This fare is in coach, and upgrades may not be possible. Play round with the dates to see if you can get this fare. However at this price, who can complain! Perfect fare for a mini-vacation and bundle it with a hotel for greater savings. This price is available from Priceline, Expedia, Travelocity, and even Alaska Airlines website. If you have the Bank of America Alaska Airlines Visa card, you get 3 miles per dollar, and your 1st bag is checked free. If there is one place I would love to be stranded, it would be here – The Turkish Airlines Business Class lounge at Istanbul’s Ataturk airport. This place is so colossal and grand, it takes a good day to really enjoy all the amenities this place has to offer. You have everything you need from a bed, a shower, and plenty of food, to make the long journey even better. Business Class passengers traveling with Turkish Airlines, Miles&Smiles Elite and Elite Plus cardholders traveling in Comfort or Economy Class, Star Alliance Gold and Turkish Airlines Corporate Club members can use Lounge Istanbul and enjoy all its services. The place is a like a two level mall, with eateries in just about every corner of the space. We landed about 5 P.M. local time, and our Kuala Lumpur flight was scheduled to depart at 12:40 A.M., so we had some serious time to burn, and eat, and sleep, and eat some more. I wasted no time, and headed to the pide station. As usual, there was a long line of people waiting to get the freshly made, Turkish style pizzas. They were perfectly made, with minced meat, spices, and a crispy crust. I also enjoyed an ayran (Turkish yogurt drink) with it. After scarfing down the pide, I needed something sweet to finish it off, so I headed to the dessert section. There was an array of baklava, Turkish delights, and other pastries, that complemented my cappuccino perfectly! They also have a kids section, with a small playground, which kept the girls busy for sometime, and let us enjoy a little quiet time, which was nice. While they were playing in the kids section, I went over the the pool hall, to people watch, and enjoy a Turkish coffee. If you go there, dont forget to try the Thai food station. This was pretty popular as the dishes weren’t that bad, actually. It was quite spicy, and they did their homework on what Thai food should taste like. The place is so huge, with spiral staircases, and cool lighting. One thing I forgot to mention is a massage therapist who walks around and gives you shoulder rubs. I totally forgot to do that, as I as too busy eating my way through the lounge. Oh well, next time…..I promise !